As we grow older and get more responsibility in life, age takes away certain things from us. One thing that we would have lesser and lesser time for is to dine at home and eat authentic home cook food. To ensure that you can have home cook food anytime you want, PlateCulture launched its service to the public last year. Positioned as a marketplace which connects people with hosts who provide authentic home cooked food, PlateCulture wants to redefine urban travelling and put one more new and unique “To-Do thing” on the list while you are in a city. How does it work? For locals or travellers looking to experience home dining, you can simply log on the website and choose a home you want to dine in. For hosts, you just need to fill in your profile and get vouched by PlateCulture. The PlateCulture team adds a personal touch to the hosts: for first time hosts, a PlateCulture representative would come for the dinner and ensure that hosts are familiar with the PlateCulture experience. The PlateCulture team would also conduct free photoshoot for new hosts in order to create a more compelling online profile for them. On top of that, the team also vets the quality of the food, the communication skills of the host as well as the general cleanliness of the host’s home and kitchen. To date, PlateCulture has hosted over 500 meals on its platform, and the company takes a 16% fee from each booked meal. Started by Reda Stare and Audra Pakalnyte, both of them are are avid travellers and foodies that have strong passion discovering the world through the kitchen. 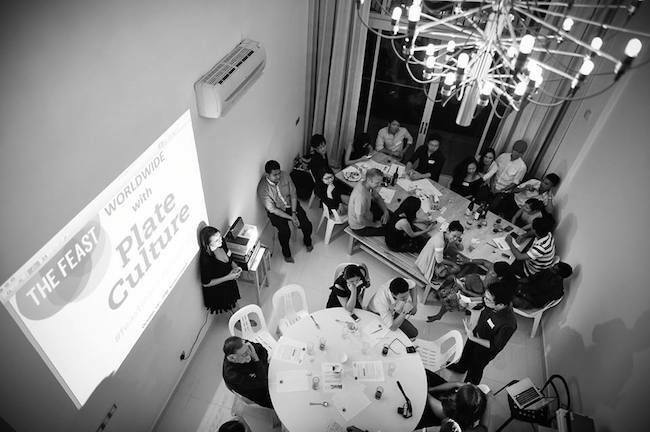 The idea of starting PlateCulture was sparked through one of the conversations talking about best travel experiences. To them, the most memorable experience is when one goes off tourist beaten track and heads to city suburbs, meets local people and enjoys real authentic local cuisine at somebodies house. Both founders had experiences dining at houses of the locals where what was served was a plethora of dishes that you don’t get to see at the restaurants menus. “And it’s not only about the food; it’s like feeding a hungry soul. Meet new people and have real time learning about their everyday lives, traditions, problems, joys. Isn’t this brilliant – the breakdown of cultural barriers through authentic culinary experience and meaningful conversations?” Cofounder Audra told Vulcan Post. For now, most of its active users are in Malaysia, where the PlateCulture team is based. Shortly after launching its service in Malaysia June last year, PlateCulture also extended its offering to Singapore, Thailand and Vietnam, and is currently working on growing the number of hosts in those countries and also working towards expansion into new countries. When asked why Malaysia was chosen as a home base for PlateCulture, the team told Vulcan Post that it has a relatively low cost of business set up as compared to Singapore or Hong Kong. On top of that, Malaysia has a great pool of English speaking talent, located strategically only one or two hours flight from any Southeast Asia countries, and of course, has a very strong culture and pride in food. Hosts on PlateCulture come from a diverse background: there are hosts ranging from 23 years old to 63 years old, with different ethnic and professional backgrounds. “Among our hosts we have art critic, singers, teachers, music producers, UN officer, Googler, and many other remarkable personalities who have one thing in common – they love cooking and hosting dinner parties. PlateCulture meal is not only about food, it’s about the meeting interesting people and having an experience of dining at home and making new friends,” shared cofounder Audra. Avid readers of Vulcan Post would remember that we have covered a similar company in Singapore called Bon Appetour. Started by National University of Singapore’s current undergraduate Rinita Vanjre as well as Inez Wihardjo, Bon Appetour a simple platform that connects travelers with local hosts who love to invite guests over to their homes to join them for a unique dining experience. When we spoke to the Bon Appetour team, they have so far facilitated over 100 meals between hosts and guests. Surely, PlateCulture has heard about Bon Appetour, and acknowledged that competitor Bon Appetour seems to be “doing a good job”. Other than Bon Appetour, PlateCulture is also going up against several US and Europe based companies such as Homedine and EatWith. Although there are several other companies providing similar services as PlateCulture, that did not dampen the team’s vision in connecting hosts who are able to provide great dining experiences to travellers and locals alike.